Personal financial concerns encompass wide-ranging responsibilities, including debt management. But while carrying debt can itself be an intimidating prospect, it is a natural part of healthy finances. In fact, debt only becomes a problem when it overshadows your ability to pay or creates cash flow crises. Effective debt management is essential to achieving long-term prosperity, keeping your options open and protecting your access to credit. Oppressive, unmanageable debt levels, on the other hand, undermine your financial health, weighing-down cash flow and leaving you struggling to make monthly payments. If your outstanding balances are getting in the way, or worse, climbing beyond affordability; it may be time to rein-in household debt. Use the following proven strategies to get a handle on troublesome obligations and stabilize your personal economy. Poorly controlled spending is the root cause of problem debt, enabling consumers to buy things today, without facing payment for weeks. Managed effectively, the modern convenience makes it easier to plan purchases and shop efficiently, but left unchecked, debt balances can become oppressive. Over time, as repayment obligations continue growing, in becomes progressively more difficult (impossible) to keep pace with payments, resulting in delinquency, default and other lasting credit concerns. A balanced budget can help you avoid this inevitable downward spiral. Although individual finances present complex challenges, at times, success managing money is more about finding balance than anything else. After all, the equation behind your household cash flow simply reconciles expenditures against income, ultimately leaving you in the red or black. And while your finances may be able to endure periodic dips into negative territory, consistently spending more than you earn has a negative effect on your balance sheet, leaving you no choice but taking-on further debt. Balancing your budget reverses the trend, reducing payback obligations to affordable levels. If you want to track really closely (and especially if you have income outside of standard employment), use accounting software like Quickbooks 2019 or an alternative to make sure you know exactly where you’re at. Loans and revolving credit enable purchases you may not otherwise afford. Under some circumstance, such as taking-on mortgage financing used for a home purchase, debt is justified and contributes to healthy financial outcomes. In other cases, borrowing leads to high-interest debt you’ll struggle to repay. And since economic pressure continually shapes the lending industry, conditions sometimes change for the better, creating openings to improve your financial position. In order to make the most of credit opportunities, it is essential to weigh the pros and cons of each form of funding. And if your existing debt carries harsh terms, refinancing with a lower interest rate is an effective way to reduce the cost of repayment. For help landing the best rates and terms use online resources to explore affordable financing alternatives. Reckless spending undermines your financial health, so correcting credit concerns may call for drastic measures. If your revolving accounts are to blame for ballooning debt, leaving your credit cards at home may be the only way to instill spending discipline. In fact, some credit-challenged consumers take a “spending freeze” quite literally, encasing their credit cards in blocks of ice to avoid spending temptation. While this approach may seem over-the-top for everyday money managers, reasonable efforts should be made to control discretionary cash flow. 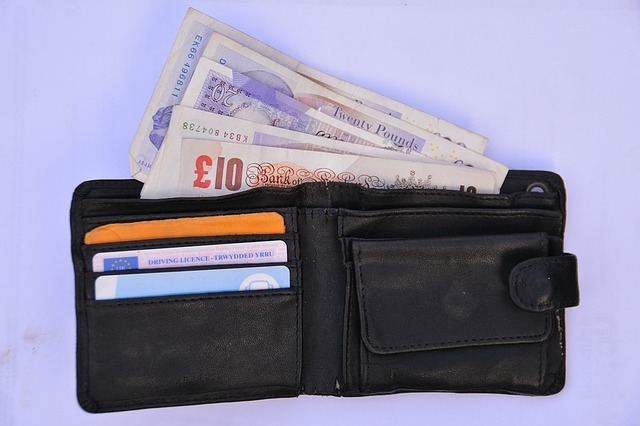 Paying cash carries two distinct benefits. For starters, interest charges and finance fees are eliminated when you avoid making credit card purchases, ultimately reducing the price you pay for consumer goods. But relying on currency to carry-off transaction also has a restraining effect, insulating you from credit missteps. Debt weighs heavily on family budgets, often representing a substantial share of what’s owed each month. To regain control of your finances and reinforce cash flow, restructure existing debt, leave credit cards at home, and commit to a balanced budget. Not only will you save money right away, but devoting yourself to these proven practices can help stabilize your finances, ultimately securing your financial health.